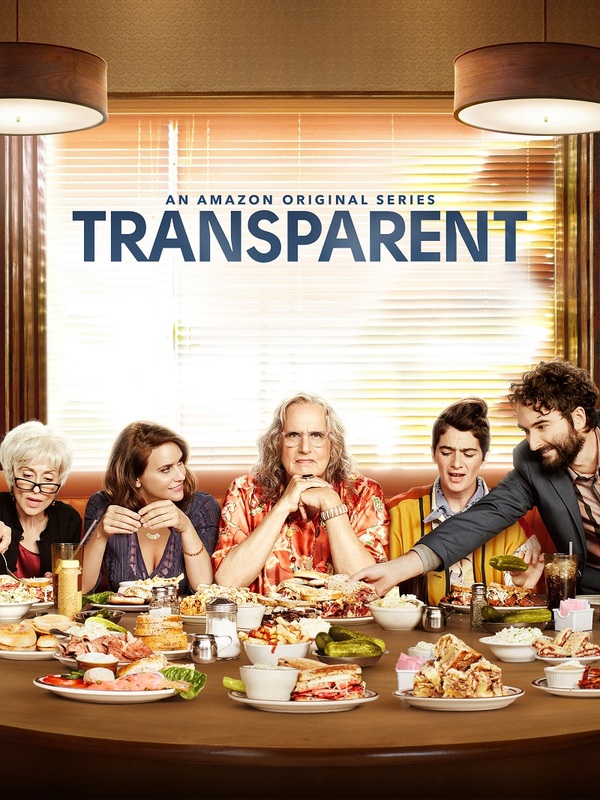 Amazon’s “Transparent,” returning for a second season Friday, December 8th, is one of television’s most daring explorations of what it means to be happy. In the award-winning program’s complex new season, creator Jill Soloway and her team are examining that human tendency to think that our problems can be fixed. “I’ll finally be happy if I only do this.” There’s always another this. Every day, in every corner of the world, there are people realizing that getting married didn’t cure their depression; having kids didn’t fix their family; revealing their gender identity didn’t make the sun come out every day. “Transparent” is one the best programs in a long time (“Six Feet Under” also played with this idea of eternal dissatisfaction) to explore these complex themes. Sometimes I think Soloway’s dialogue can be a bit overwritten (people often express things with a writer’s degree of insight instead of a realistic one) but then one of the performers in this amazing ensemble will do something so true and heartbreaking that it doesn’t matter. In fact, “Transparent” is often at its best when Soloway just lets her already-rich characters live and find happiness in this world. Or at least try to do so. The first season of “Transparent” was primarily about Maura Pfefferman’s (Jeffrey Tambor) revelation to her family that she was transgender. Tambor deservedly won nearly every award he could for the way he broke new ground in the representation of gender identity on TV. There’s such a delicate touch to this performance, ignoring the easy traps into which an actor could fall to find the truth in this complex character. In many ways, Maura’s three children—Ali (Gaby Hoffman), Sarah (Amy Landecker) and Josh (Jay Duplass)—were spurred to find their own blisses by their father’s discovery of his own. Sarah revealed her love for Tammy (Melora Hardin), destroying her marriage to Len (Rob Huebel). As Sarah’s family dissipated, Josh created one, falling in love with Raquel (Kathryn Hahn), and discovering he has a biological teen son. Ali seemed to struggle the most, but there’s always been a sense that she’s looking for something, anything to make her happy. At the beginning of the second season of “Transparent,” that happiness seems within reach. Sarah and Tammy are getting married, Raquel is pregnant, and Maura is attending her daughter’s wedding. However, cracks in this happy façade appear early. A photographer calls Maura “him,” and then Maura notices that her sister and nephew were invited to the nuptials. Maura’s sister does not support her identity (or gay marriage, for that matter), and warns her against visiting their mother. Acceptance is still just out of reach. Meanwhile, the issues in Sarah and Tammy’s union appear to be starting before it even begins. Sarah has cold feet, and not the TV kind that can be overcome with an inspiring speech in front of a vanity. Ironically, the person who seems to be sailing the most smoothly for the first part of the “Transparent” season (I watched the first five before the audio quality on the rough cuts were too much for me to handle) is Shelly (Judith Light), Maura's ex-wife. “Transparent” is often about definitions. What is family? What is love? What is gender? There are things in this world that can’t be so precisely defined as we would sometimes like them to be. Happiness certainly falls into that category. We think we’re happy, and then suddenly we’re not (“You’re the Worst” has been brilliantly examining this aspect of human nature this year as well). Why? There’s often no reason. And we spend so much of our lives seeking the answers to those questions, or even just a placebo to make us stop thinking about them. There are times when “Transparent” will run into a narrative convenience that it often seems too good for—someone stopping by a party at just the right time, someone running into someone in public, etc. Or a character will express something that seems just a bit too self-aware in an argument. I like these characters so much that I really just want to sit around and listen to them talk naturally to each other, examining the dynamics between one of the most fascinating families on TV. I hope they stick around, trying to find their happiness, for a very long time.